Ubuntu comes with handful of free applications which satisfies use of a regular user. but for those ones looking for the extra quotient, there are plenty of applications available in the web, as a ubuntu user from 4.10, I am listing some must have software a Ubuntu user must have. As ubuntu is used by netisons, Browsers are the most used application in any linux distro. most of the popular browsers are available for ubuntu too. here is the most used bowsers. Firefox is coming with ubuntu. but google chrome is the most preferred browser, anyone can download chrome from googles download mirrorsfor free of cost. Opera is the next option for a big number of web users. opera, firefox and chrome are now sharing the market of browsers with huge shares. we can also install Internet explorer in ubuntu using Wine. Wine will be described later in this post. Wine is translation layer which is capable of running Windows applications. Though not all applications can be installed using WINE, yet it is the best choice for some Windows only software to run under Ubuntu. Learn more about WINE at http://www.winehq.org/download/ubuntu. SMPlayer another multimedia player for Ubuntu which is available in ubuntu software center for free of cost. SMPlayer is basically a Qt based MPlayer front-end. SMPlayer remembers the settings of all files you play. Smplayer also features a video resume function So, when you restart a video after quitting SMPlayer, it will start from the exact same position. click this link to Install SMPlayer from Ubuntu Software Center. GIMP Image Editor: GIMP ican do anything adobe photoshop can do,in short GIMP is Adobe Photoshop for in Linux but FREE. You can even extend its capabilities with free plug-ins. Audacity: Audacity is a free, easy-to-use and multilingual audio editor and recorder for Windows, Mac OS X, GNU/Linux and other operating systems. OpenOffice.org: OpenOffice is the Linux alternative for Microsoft Office on Windows. OOo came as the default Office application on Linux till last year. It is very powerful office suite which includes Word (Word Processor), Excel (Spreadsheet), Presentation, Drawing, Database and other applications. Other than that you can install add-ons too to make it even more powerful. Calibre manages your e-book collection for you. 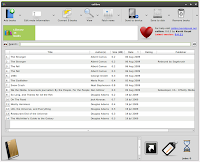 Calibre is a free and open source tool as well. It even supports e-book syncing with a variety of popular e-book readers out there. FileZilla Client is a fast and reliable cross-platform FTP, FTPS and SFTP client with lots of useful features and an intuitive graphical user interface. It is not only easy to use but also boasts load of features like IPv6 support, Drag and drop, pause and resume file transfer and remote file editing etc. Bluefish : Bluefish is a powerful HTML editor targeted towards programmers and web designers, with many options to write websites, scripts and programming code. Bluefish supports many programming and markup languages, and it focuses on editing dynamic and interactive websites. 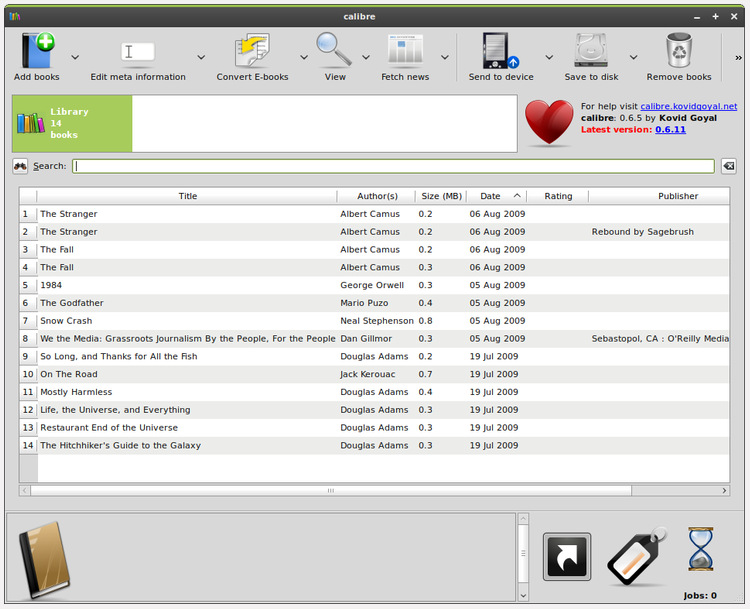 KompoZer is a complete web authoring system that combines web file management and easy-to-useWYSIWYG web page editing. KompoZer is designed to be extremely easy to use, making it ideal for non-technical computer users who want to create an attractive, professional-looking web site without needing to know HTML or web coding.